The La Sportive Akasha is an attractive and extremely solid shoe. An excellent all-round 10mm drop shoe. 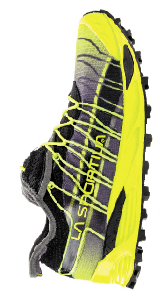 These are marketed as an out-and-out mountain shoe, but they coped well on country terrain, too.